I really like this lamp; it’s an inexpensive “dorm” lamp from Target….I’ve had it for a number of years and really like the light that it gives off…and there were “memories” tied in with it. But…it broke. The entire top section broke off and I couldn’t reconnect it to the pedestal. and the lamp flopped over! but the whole thing was really crooked and floppy. uh oh….stretched again, lamp flopped over! Finally, I added a screw bracket used on plumbing hoses…. The idea of finally using that pipe/hose bracket was from Hector, someone who has repeatedly rescued us…again and again and again….over the past many years: painting rooms, clearing up the garden, putting things back together…talk about persistence…Hector is always cheerfully and patiently persistent…thank goodness for Hector. I got a comment about this post, in May, from another wordpress blogger: solookhere …. his comment is on the following photo (his photo) and on his own blog…well, he had a blog in the spring…but when I tried to link it today….it was gone….uh oh…duct tape time? I’m reposting this post, which was originally added in May…..
I’m needing some extra persistence these days….. This entry was posted in Persistence, Uncategorized and tagged Inspiration, Life, Mindfulness, Motivation, Patience, Persistence. Bookmark the permalink. 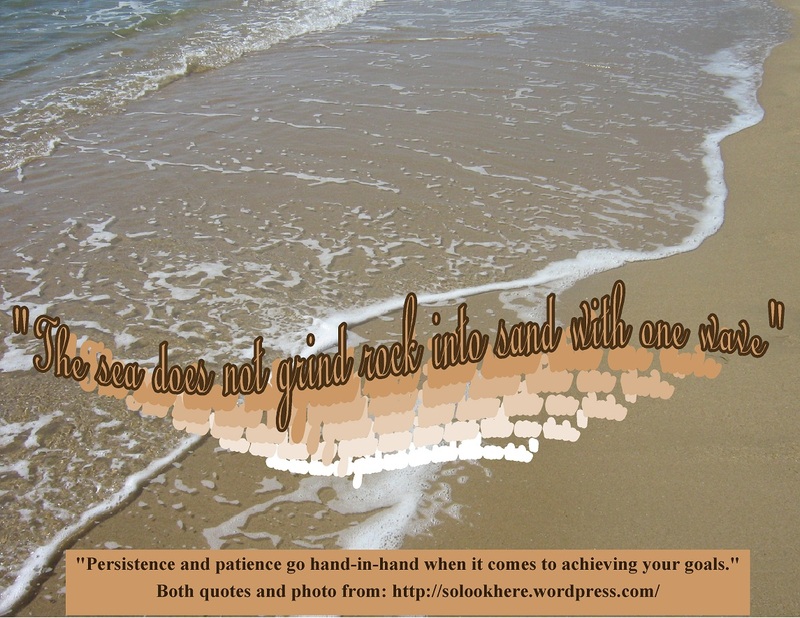 12 Responses to Persistence is good…. that’s funny! read my blog on friday – it’s about patience – very similar. good job. Oh, I love that idea…I really enjoy keeping things going,…the challenge of it and the idea of being able to rehab an item is appealing. Go toaster rehab! That’s a great quote, isn’t it? 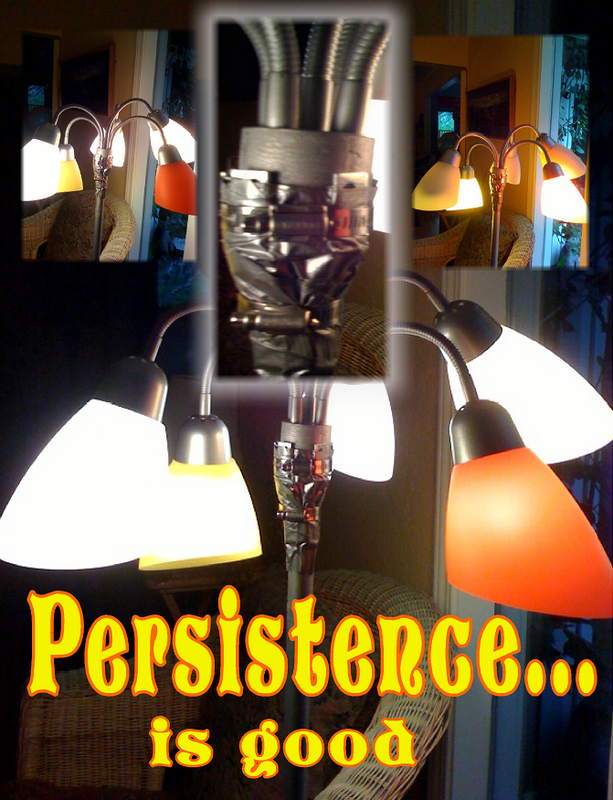 Yup…persistence is good. And the lamp?….it could probably win an ugly lamp award…and it’s right here in the living room next to my computer…love it!